Time, even though simple, is never linear. A system that deals with time needs to be dynamic, flexible and comprehensive. 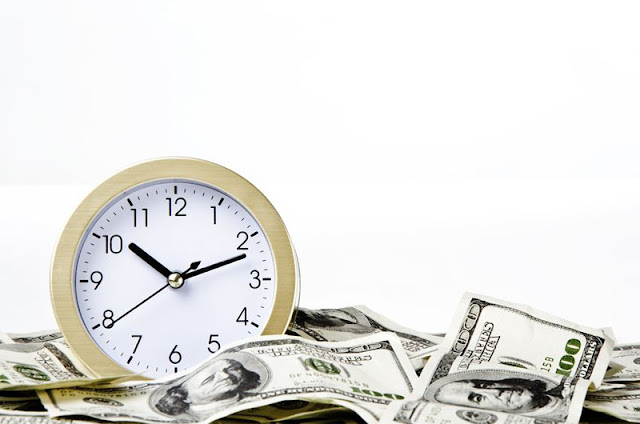 In business, managing time is even more crucial because every second counts. Managing time effectively requires a company to have a system that can deal with time and its various dynamic components. 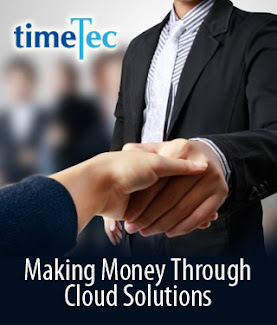 Here’s how TimeTec TA manages time to your advantage. Managing workforce abroad in a few different countries requires time management software that is able to cater for attendance data from all of the different locations. TimeTec TA allows you to set different time zone for each of your branch and the time captured will be based on the local time; set according to the respective branches. Hence, the timesheet displayed will be adapted from the local time set in TimeTec TA. TimeTec TA checks the time zone option to sync the attendance data with your company’s schedules and to ensure data accuracy at all times. TimeTec TA allows setting of time zone for individual employee and it caters to employees who are working abroad at a different time zone. 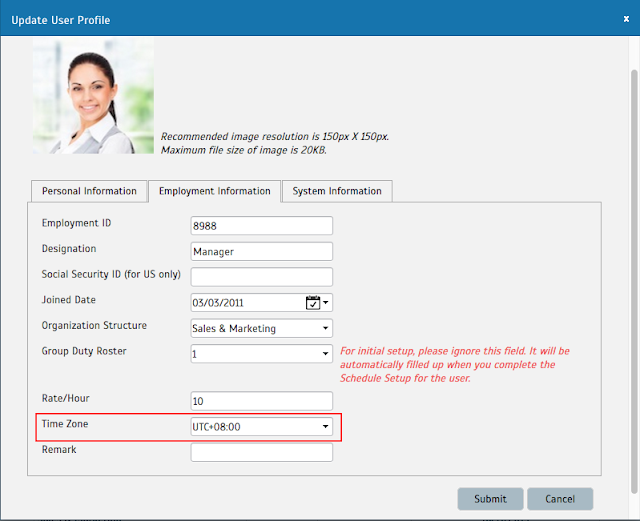 TimeTec TA is also able to sync the time zone set in your time attendance devices such as biometric terminals or mobile phone to provide accurate attendance data. By having the different times from your branches at different places with different time zone synchronized, TimeTec TA ensures to provide you with accurate and manageable data at all times. Time range in TimeTec TA is the guideline for the system to determine where the attendance record will be slotted in. By having a time range option in TimeTec TA, it allows you to set the maximum time for a selected attendance slot before it falls into the next slot. It is important to set the correct time range for each slot because working hour’s calculation will be based on the time recorded in each slot and the position of the time recorded will affect the attendance sheet and reports. For example, if your IN time is set at 9 AM, you can set the maximum time to fall under IN column, e.g. 11 AM. The system will capture all attendance before 11 AM as the IN time and any attendance captured after 11 AM will fall into the next column, which is by default should be LUNCH. In TimeTec TA, if you don’t define the time range, by default the system will justify which column to locate the record by referring to the midpoint of the predefined time. 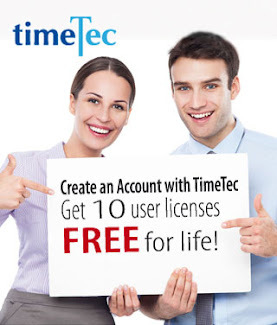 TimeTec TA allows rounding of the time to the nearest minutes. This option is made available for companies that require all their employees to adhere to the same time rules and consistency. Select the rounding option to either round up, mid or down to suit to your company’s policy. Having a reliable and accurate attendance data is important to provide companies with the overview of the entire organization’s workforce performance. By setting up these 3 options; time zone, time range and rounding of time, the attendance data will be precise, manageable and consistent with your company’s attendance policy. Set your time right with TimeTec TA. Sign up for a trial account today, and experience it for yourself! Note: There are another 2 aspects related to time that we will discuss in the next blog post; break time and over time. So stay tuned!